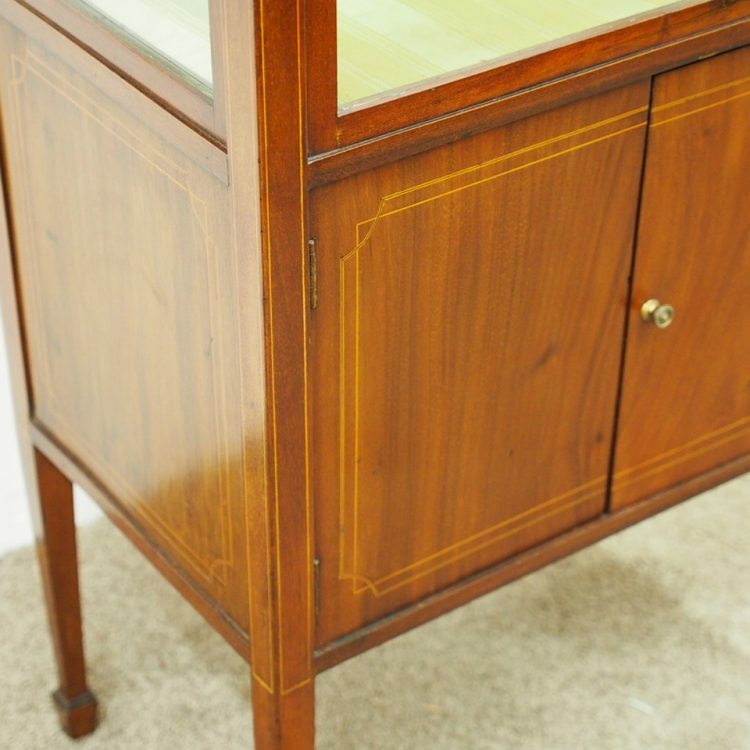 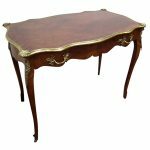 Circa 1900, unusual Sheraton style mahogany bijouterie table. 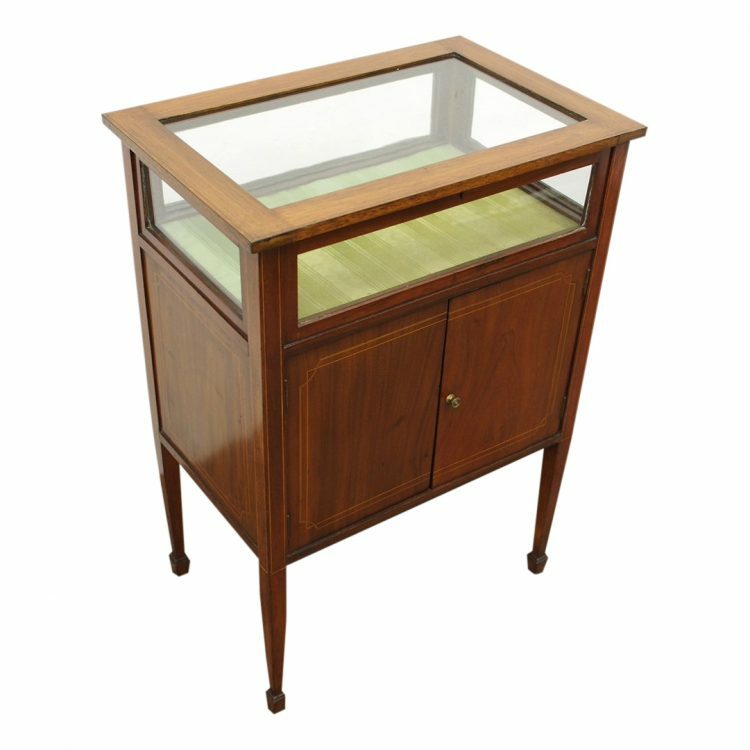 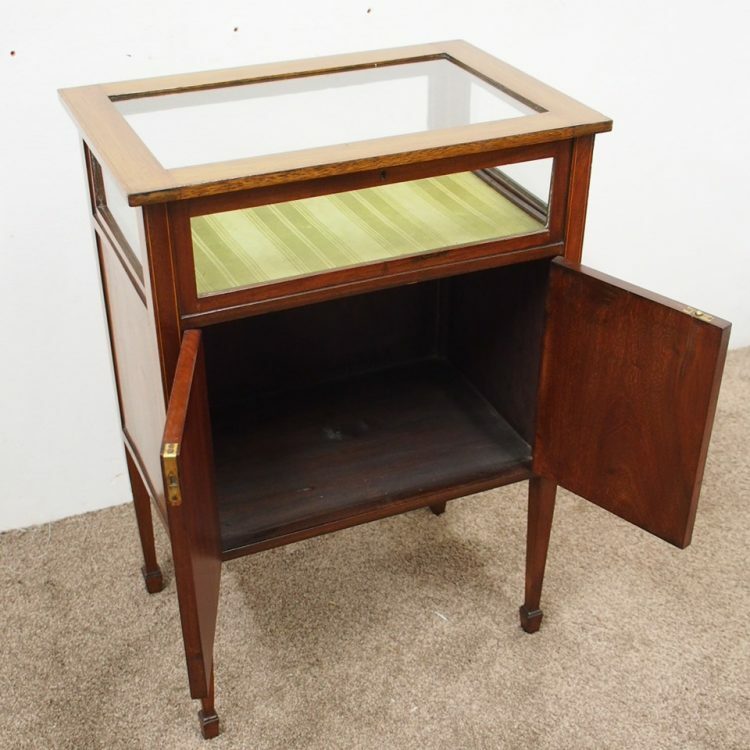 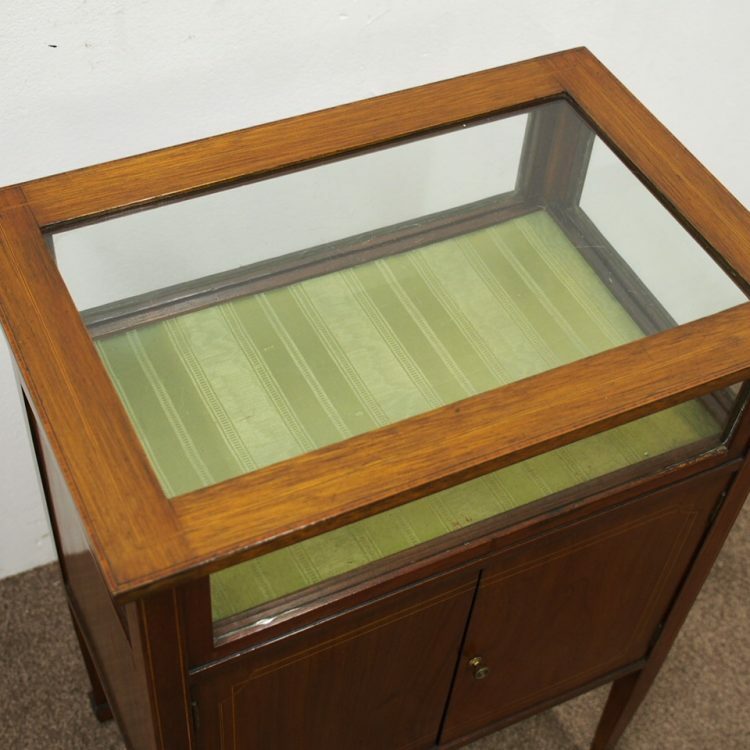 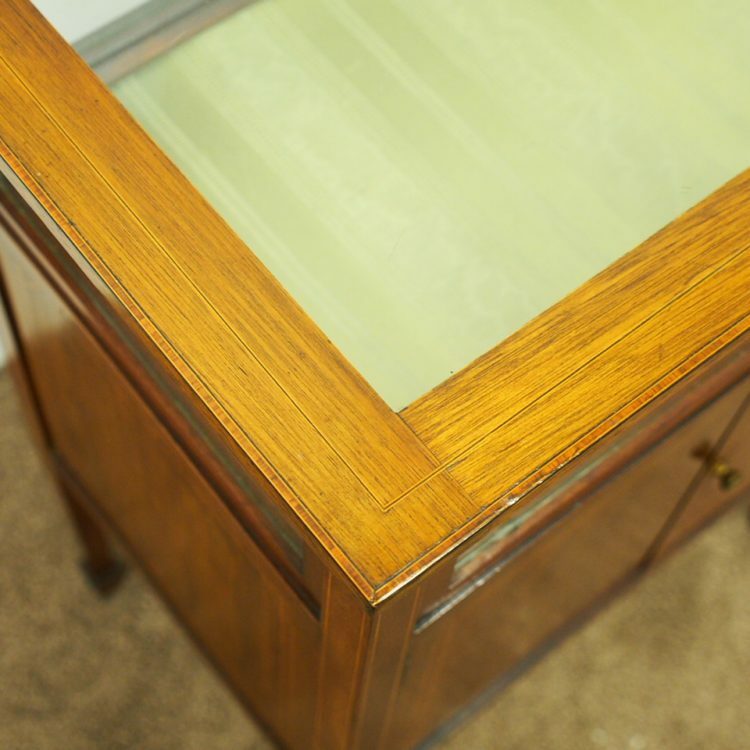 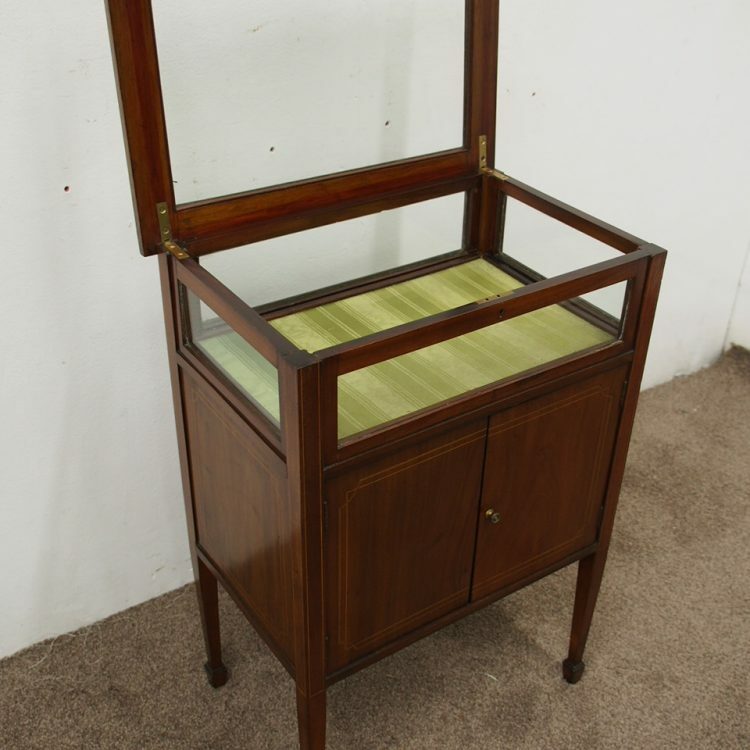 With a hinged top with various inlays and glazed top and walls, it is lockable and the bottom is lined in a silk fabric. 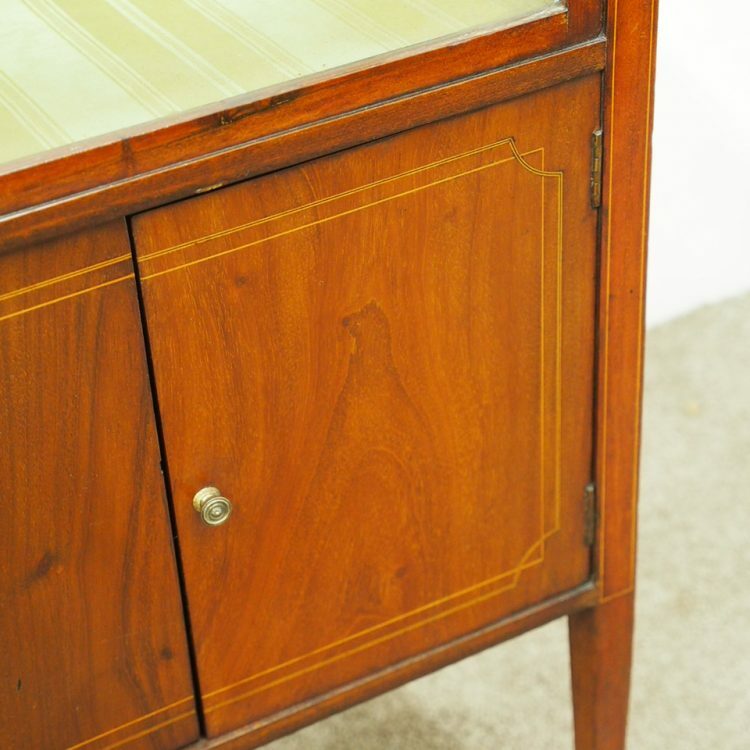 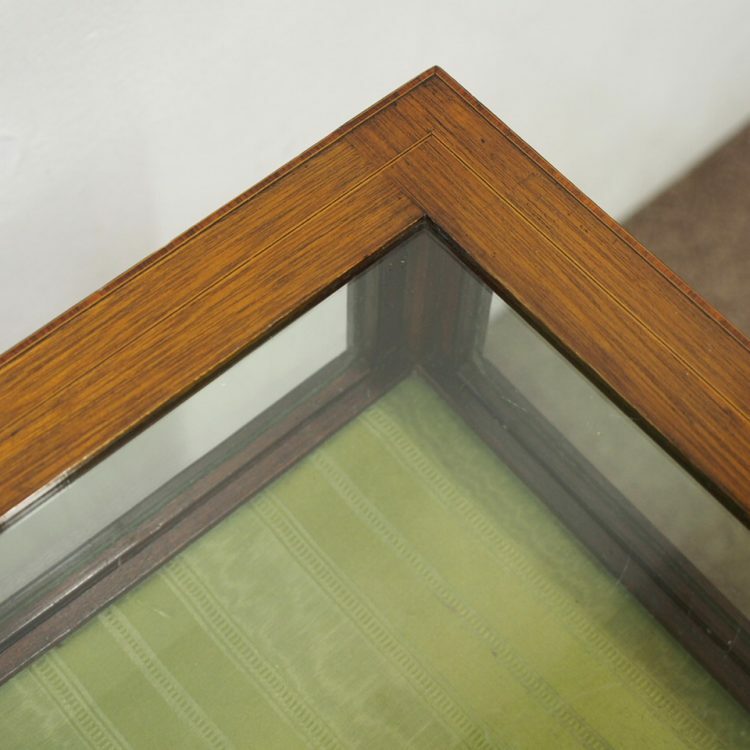 Beneath the top are two inlay doors, open to reveal an uninterrupted space, and it all stands on 4 simple, tapering legs which finish on a raised spade toe.